Are you suffering from pain in your jaw, mouth or teeth that you believe may require surgical intervention? If so, reach out to Robert F. Wilcox, DMD, PC, located in Butte, Montana. 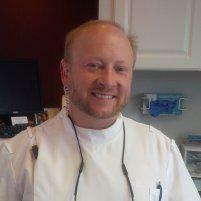 Dr. Wilcox is an expert at diagnosing and treating oral pain and diseases. Don’t be in pain when you don’t have to; schedule an appointment with Robert F. Wilcox, DMD, PC online or via the online booking tool today. Oral surgery is any surgical procedure that involves the teeth, jaw or mouth. Some of the most common examples of oral surgeries include: tooth extractions, dental implants, and surgeries to treat conditions like sleep apnea, snoring, and TMJ. Tooth extractions include those for impacted teeth, decayed teeth, and wisdom teeth. Dental implants, including mini dental implants, are common procedures used to replace missing or damaged teeth. Mini dental implants are like regular dental implants, but smaller and less invasive to place. While regular dental implants are usually between 3.4 to 5.8 mm in width, mini dental implants are generally between 1.8 and 3.3 mm in width. Mini dental implants generally feature a ball attached to a titanium post and a rubber o-ring. The rubber o-ring attaches the replacement tooth to the post. In contrast, regular implants feature a post that dentists insert into the jawbone and a core that screws into the post. Is oral surgery right for me? The best way to discover whether or not oral surgery is right for you is by consulting with your dentist. If you’re suffering with pain from impacted teeth, broken, unhealthy, or missing teeth, oral surgery might be a good option for you. When you book a consultation with Dr. Wilcox, he’ll start by asking you questions about your teeth, tissues, or bones in question. He will also inquire about your medical history, dental history, and dental care habits. After he’s discussed your concerns with you, he’ll take some time to examine you. If necessary, he’ll also take x-rays. After he’s gathered all the important information, he’ll discuss his diagnosis with you and offer treatment options. Together, you and Dr. Wilcox will decide on the right choice for you, whether or not that be oral surgery or a combination of oral surgery and restorative dentistry. If you’re ready to address your oral concerns, don’t linger in pain. Reach out to the team at Robert F. Wilcox, DMD, PC, and find out if oral surgery is a good option for you. To schedule your appointment, call the office or use the online booking tool today.